A really good multiplayer game marred by lacking invert-x. Really good zombie survival horror sandbox game but it does get rather samey after a while. I actually like Dead Island a little more than this, bugs and all. At least DI just does what it does, Dead Island's parkour sometimes gets in the way of itself and there were still other flaws when I played this. Still a fun game to play with someone though. 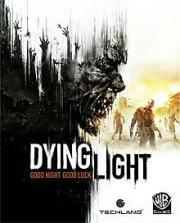 A solid zombie game, takes the good parts of Dead Island and adds in some Mirror's Edge 1st person parkour. What Dead Island was trying to be.